The amount raised through Initial Public Offers, Follow- on Public Offers, Offer For Sale and Qualified Institutional Placement was Rs 48,991 crore last fiscal. Riding on IPO wave, Indian companies have raised Rs 51,288 crore through the equity market route in the current fiscal, up nearly 5 per cent over 2015-16 while bond market slackened, says a report. The money raised in 2016-17 was however far short of Rs 86,710 crore, the highest ever raised in 2009-10, the Prime Database report said. 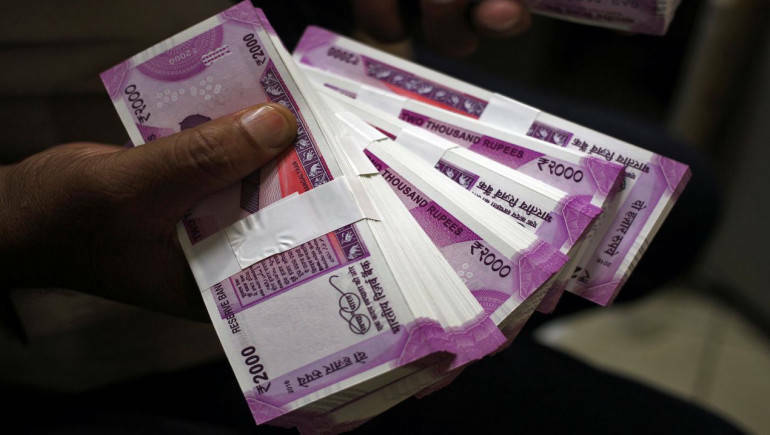 The bond market, on the other hand, has seen lower amount being raised in the current financial year ending on March 31, with 16 issues netting Rs 29,453 crore, as against 20 which garnered Rs 33,812 crore in 2015-16. Overall, companies raised Rs 80,741 crore through equity and bond routes put together. The amount raised through IPOs nearly doubled from the previous fiscal as 25 mainboard offers came to the market collectively raising Rs 28,211 crore, said Pranav Haldea, Managing Director, Prime Database. The report mentioned that as the IPO amounts of CL Educate and Shankara Building Products have not been finalised, their figures have been calculated on basis of lower price band. Response from the public to the mainboard IPOs was very good, the report said. "While 15 IPOs received mega response of more than 10 times, five other were oversubscribed more than 3 times. The rest five were oversubscribed between 1 and 3 times." As far as retail investors are concerned, the current financial year witnessed very good response from them as well. The highest number of applications was received by Avenue Supermarts at 17.40 lakh followed by BSE (11.32 lakh). Response to IPOs was further buoyed by strong listing performance. Of the 23 IPOs which got listed, 18 gave a return of over 10 per cent, Haldea said. The fiscal also witnessed significant activity in the SME platform. There were as many as 78 SME IPOs which collected a total of Rs 807 crore as against 50 IPOs raising Rs 311 crore in 2015-16. OFS through stock exchanges, which is for dilution of promoters' holdings, saw decrease from Rs 19,822 crore raised in 2015-16 to Rs 8,390 crore in the current fiscal. OFS accounted for only 16 per cent of the total public equity markets amount, the report added. Vintron Informatics OFS amount were not finalised, the report noted. Listed companies continued to raise funds from institutional investors through QIP route, with 22 firms mobilising Rs 13,871 crore, down from the Rs 14,358 crore raised in 2015-16. Yes Bank and Minda Industries QIP amount were not finalised, it said. Of the total amount of Rs 51,288 crore, the sum raised through fresh capital was only Rs 24,618 crore (48 per cent), the remaining Rs 26,670 crore being offer for sale. The report further said that 2016-17 was the best year ever with Rs 40,997 crore being raised by the government, which was 90 per cent of the revised targeted amount of Rs 45,500 crore and 73 per cent of the original target of Rs 56,500 crore. Besides, buybacks constituted a lions share of divestment at Rs 15,645 crore, followed by block deals (SUUTI sales of L&T and ITC) at Rs 8,790 crore, ETFs Rs 8,500 crore and public offers (OFS of NHPC, Hindustan Copper, NBCC, MOIL, BEL) at Rs 7,532 crore. "2017-18 looks very promising. Already at the beginning of the year there are 13 companies holding Sebi approval wanting to raise over Rs 9,230 crore and another 10 to raise about Rs 16,736 crore awaiting approval," he said. The government has set an ambitious target of Rs 72,500 crore for 2017-18. According to Haldea though, this target is very achievable as reduction in the government's holding in 18 listed CPSEs to 75 per cent alone can contribute to Rs 20,678 crore.